Colling Design + Build is a comprehensive boutique firm specializing in custom built furniture, full scale design and build projects and interior staging and styling services. We work closely with each of our clients to help define and design their vision while expertly managing expectations around time frame and budget. We limit the number of projects we take on so that each of our clients receive our personalized attention from inception to completion. From a 500 square foot studio apartment to a 50,000 square foot restaurant, no project is outside the scope of interest or ability for our talented team. We create pieces that finish the room and start the conversation. Each one of our unique designs is masterfully crafted with the intent to highlight the natural beauty and character of the wood while keeping in mind it's form and function. Locally salvaged or recycled materials are used whenever possible to cut down on pollution, deforestation and cost. For more information or questions about client collaborations, send us an email. CD+B offers integrated design and build services for restaurant, retail, and residential clients. We're by your side throughout the entire process, from pre-construction conceptuals to permitting and all the way to the certificate of occupancy. Our experience, critical thinking and innovative problem-solving abilities coupled with our meticulous attention to detail allow us to deliver a wonderfully unique and inspired space for you and your guests to enjoy, on time and within budget. Pete Colling is the founder and cheif artisan builder at CD+B. What started as a passionate hobby for Pete turned into a full-fledged career when in 2009, he built a piece of furniture to be used for display in his wife's San Francisco boutique, Marmalade. Within twenty minutes a customer asked if she could buy it and he's been designing one of a kind pieces and awe-inspiring spaces ever since. 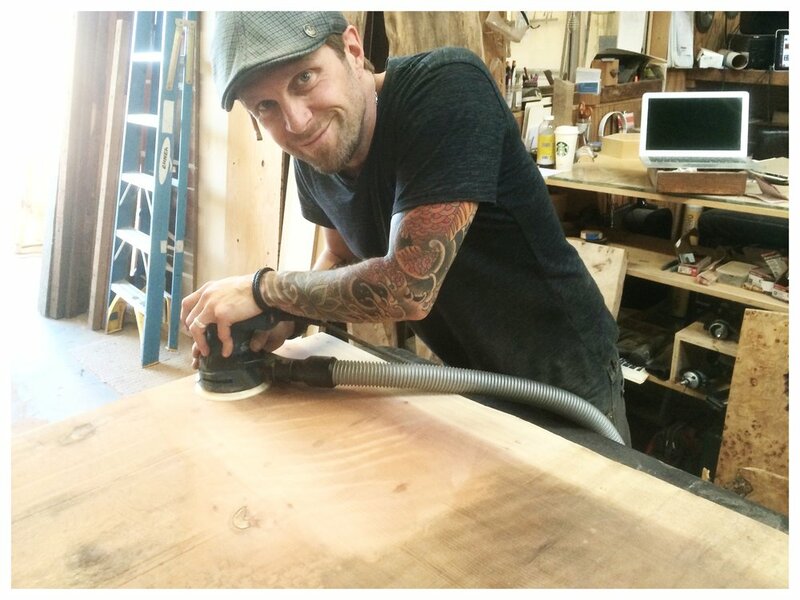 The vast array of felled lumber and salvaged materials inspires Pete to push the boundaries of ingenuity, allowing him to continually create new and extraordinary pieces that combine the science of building with the art of design. Hope Colling is an Interior Stylist and a registered member of the American Society of Interior Design. A former Creative Director for Anthropologie Stores and Ralph Lauren Brand, she cut her teeth in the design space in 2009 after her own home was featured in Apartment Therapy and subsequently became one of their top House Tours of all time. This prompted Hope to expand her existing business (an apparel + home decor boutique with a global bohemian flair) to include interior styling, staging and full scale design services. Her creative intuition and natural ability to layer color, pattern and texture combined with a keen sense of placement have contributed to her success as a designer. In addition to projects for HGTV and the DIY network, Hope's work has been featured in Elle Decor, Dwell Magazine, Coastal Living, Better Homes and Gardens, Glamour and Architectural Digest. John Boswell is a licensed General Contractor with more than twenty years experience in the field. From foundation to finished carpentry, he does much of the "heavy lifting" on full scale design and build projects and oversees all plumbing, electrical and structural installations. John also has vast knowledge of local architecture and design and has an extensive portfolio of high-end residential projects to his credit throughout the San Francisco Bay Area.